Former player and great supporter of the club, Brian Brimble passed away on Thursday 10th January 2019. Here our President, John Darlaston, remembers Brian and the impact he had on our club. Brian was the epitome of the good Clubman. He was always there when needed both on and off the field. Although the highest office in the Club to which he aspired was that of United (2nd team) Captain he was always making a significant contribution to the overall well-being of the Club. Whilst his close friend Stuart Freeman held many posts including being Club Captain and Chairman, Brian was always there in support and to undertake what was needed. The Club moved to the Stinchcombe Stragglers in 1970 and in the following years considerable changes were made to the building and facilities requiring a big effort from the members. During this period in particular Brian was always on hand for heavy labouring work and exercising his plumbing skills. In the early seventies Brian was an ever present member of the 1st team, propping very solidly and contributing around the field. As the Club expanded so did the need for pitches. Brian played in the game to open the ‘new’ pitch situated behind the village hall and Coombe Gardens. This will be remembered, as will other games there, for the resident of one of the houses keeping the rugby balls that found their way into his garden. In spite of diplomatic approaches for their return from the then Club President Percy Woodland, who was Head of Dursley Grammar School, we were forced to abandon using the pitch. 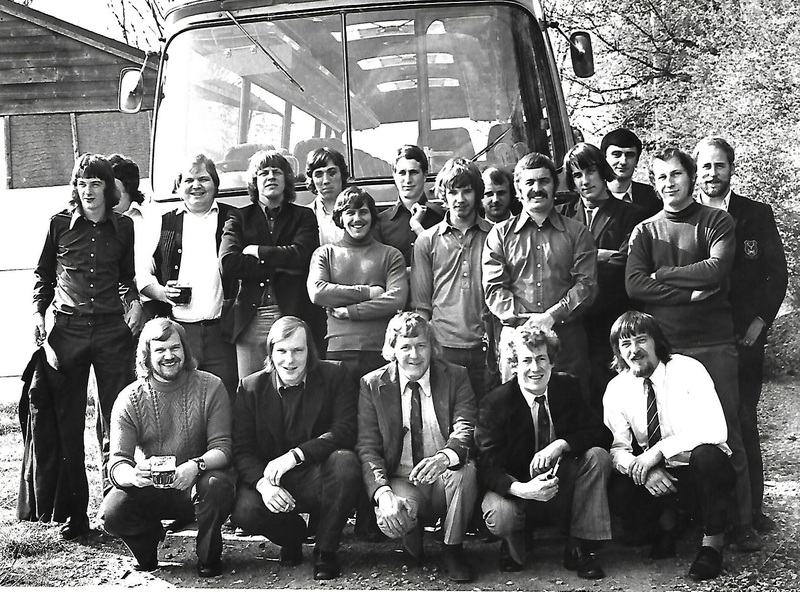 Brian will also be remembered as a keen tourist (pictured setting off on tour around 1971, Brian is front row standing, second from right). 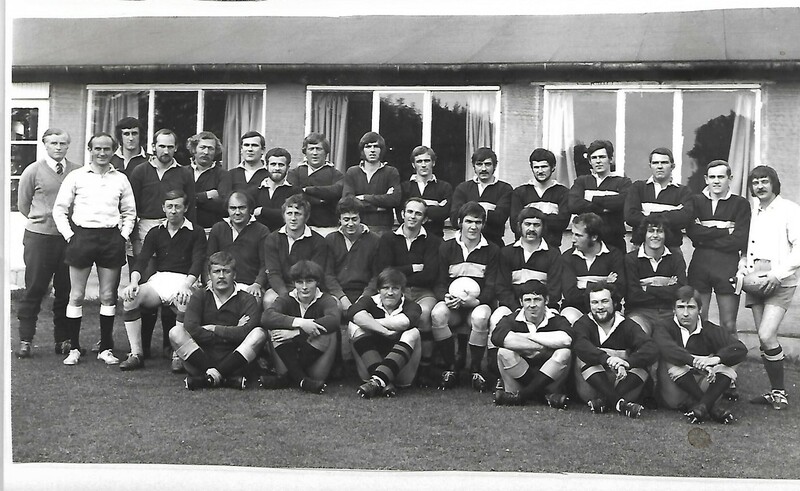 In those days the end of season rugby tour was a big event. For years tours had been as ‘far afield’ as Weston or even West Wales but now it was Jersey and Guernsey. These were always memorable times and Brian made his contribution, as with everything, quietly but very effectively. Over the many years of his involvement in the Club he made many friends. As a consequence of his contribution to the success of the Club on and off the field he won the Clubman of the Year award in 1980. Later on his son Dickie was Club Captain for two seasons in 2002/03 and 2003/04, from which Brian gained great enjoyment on the touchline both watching and commenting, often running the line. He also continued to support the club through various unseen but important tasks such as keeping the club ‘honours’ boards up to date. Dickie is often still to be found at the Club and embodies the spirit of his Father with his presence. It was a nice occasion when Brian was brought up to the Club last year to watch a match. Although not in good shape he seemed to enjoy the visit. He was greeted and chatted to by many people. Brian was a true club man and his name will live on as will his contribution to the club. Shortly after his death at the game against Ross there was a minute's silence to remember him. Whilst the younger players may not have known him personally, there were many on the touchline who knew him well both on and off the field. Condolences to Dickie, Cath and all the family.